With view to educating the civilians on the danger of abandoned mines and Unexploded Explosive Ordnance (UXOs), 10th Field Engineers Regiment conducted two awareness programmes at Ilavali and Arali recently. The programmes educated 133 civilians from the neighbouring areas. 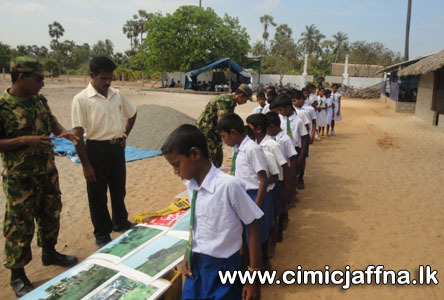 The 10th Field Engineers Regiment also conducted more awareness of this nature from March 25th to 31st for schoolchildren and teachers Sorampatthu, Kevil, Vetthalaikerny, Aliyawalai, Nagarkovil East, Nagarkovil South, Udutthurai, Champianpaththu, Ittavil and Kilalay. Meanwhile, some soldiers went from door to door educating villagers. Nearly 960 children and 207 teachers and villagers learnt about mines and UXOs in the programme. Even as the world focussed on what the LLRC (Lessons Learnt and Reconciliation Commission) would produce after months of hearings, President Mahinda Rajapaksa set up a ‘National Reconciliation Unit’ to facilitate the work of his Adviser on Reconciliation. All these in addition to the natural processes of reconciliation that the end of conflict engenders, boosted of course by concrete policies to put in place necessary infrastructure, resettle the displaced, clear landmines and reinvigorate economic activity, not to mention the rehabilitation and reintegration of thousands of ex-combatants – a practice unheard of in many parts of the world when it comes to people affiliated with terrorist organisations. The Advisor’s terms of reference included monitoring and reporting to the President on progress with regard to the Interim Recommendations of the LLRC, and promoting appropriate activities for this purpose through the relevant Ministries. ‘The Nation’ spoke with Pushpi Weerakoon, Coordinator of the Unit, on the mandate, work and challenges of this body. Q: Could you elaborate on the power, authority and capacity of the unit? The Office has no powers or executive authority. Apart from two minor staff, it has only an IT officer. MP’s secretary and office aide also contribute. However, much support is provided by members of the Reconciliation Youth Forum that comprises committed youngsters worked in the North and East in related activity developing initiatives and record achievements. 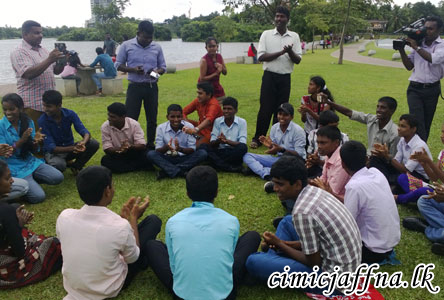 In addition to the Reconciliation website, http://www.peaceinsrilanka.org, we have started a blog – http://www.reconciliationyouthforum.org – and a You Tube channel – http://www.youtube.com/reconcile sri Lanka. You can also follow us on twitter @rcncilesrilanka and on Facebook on Sri Lankan Reconciliation Youth Forum. Other initiatives include Civil Society Partners for Reconciliation which brings together relevant government organisations with civil society and ambassadors and non-governmental organisations (Rotary, Save the Children etc) to suggest initiatives. This has led to a project in sustainable agriculture to support ex-combatants. We hope that Japan would support it through IOM. In addition, a proposal for vocational training in Mullaitivu with socialisation and soft skills on the lines of the programmes Aide et Action is now being materialised in Vavuniya. We have also set up a body called Religion, Education and Pluralism to develop educational initiatives as suggested when the Adviser was appointed, and feel this is particularly important in view of the vision advanced by the President in his budget speech. Based on recommendations of some of these groups, we have set up District Reconciliation Committees in three Northern Districts and hope to do the same in the other two as well. We had productive input from the local officials who attended about problems and possible solutions with the police. Some committed social workers also actively contribute. We have initiated discussions with UNESCO about school activities, and begun a discussion group on international relations though we are awaiting a response from the Ministry of External Affairs in this regard. We were pleased that an NGO which was sending young parliamentarians abroad initiated a familiarisation session in this regard, and hope we could start something within Parliament too, perhaps through the Friendship Associations, since there are a number of young parliamentarians with the capacity to develop into excellent international communicators if only we do some initial familiarisation with relevant issues. We do not really influence policy, since we need to liaise with the Secretary to the President. However a meeting is planned shortly to enable us to move ahead. IOM partners with the Reconciliation Unit to provide Logistic support. IOM & Reconciliation Unit colleagues at the Kilinochchi IOM compound. Q: What are the main obstacles to reconciliation as per your mandate? The main obstacle is the absence of any sense of urgency amongst those who should be working actively to promote reconciliation. Most ministers and officials with whom we discuss matters are sympathetic but have not really conceptualised the manner in which reconciliation initiatives, as laid out in the President’s letter of appointment, should be carried out. Since we have no executive powers, we cannot really act, and often it takes a very long time to get responses. However, we have had excellent and swift assistance from the Governor and District Secretaries of the Northern Province, and we hope the DRCs will develop apace. But we also need input from line ministries about streamlining activities and coordinating with other relevant actors, whilst also developing better mechanisms to record and analyse the ground situation. My guru, the father of conflict transformation, Prof. John Paul Lederach calls it “a meeting ground where trust and mercy have met, and where justice and peace have kissed.” In simpler terms, it’s about bringing people together to move them beyond the past through reestablishing trust and normalcy, forgiving each other, in a justifiable society where the previous belligerents would be able to coexist peacefully. In Sri Lanka, a successful reconciliation process would pave way to victims and offenders of both the main fractions of the conflict not only to coexist peacefully but also to work for the betterment of our next generation. It should rekindle mutual respect among ethnicities such as Sinhala and Tamil and also among different fractions of single ethnicities such as Northern and Southern Tamils and Muslims. All communities should accept excombatants/beneficiaries, military and the police, war widows and disabled into their localities with open arms. There should be a positive atmosphere for the natural day-to-day activities to progress without fear and prejudice. Most importantly the youth who are cut off from the rest of the country for over two decades and made to think the southerners were of different nature, must mingle together and share their values and cultures to disperse the misunderstandings. Even though such a process will never be achieved over night, even small steps taken without delay could lay a foundation for a lasting relation. Q: What are the programmes in the pipeline? The meetings held in Vavuniya and Kilinochchi to set up the reconciliation units provided a forum for a greater number of government officials in the education, health, agriculture , army and the police to vocalise their concerns. An urgent need for safe houses (currently the only safe house available is in Jaffna) for young unmarried mothers, education on sexual and reproductive health, income generating activities for war widows, vocational training for youths, lack of English and Maths teachers, lack of extracurricular activities and cultural exchange programs in the schools, need for Tamil speaking WPCs and security concerns for all including ex-combatants were raised at the forum. To address these issues we have requested the GA and Zonal directors to provide us with lists of Maths, Science and English teachers available in the area. Police officers present at the meeting were to provide with a list of councellors available and also circulate notices within schools with information on how to join the police force. The government officers were also advised to take an account of the child rights promoting officers and Women development officers available. We also suggested the authorities to implement community structures for the safety of women and children and have consultative meetings in the police and issue a monthly report. The agricultural officers were encouraged to approach private sector to implement and enhance corporative centres among local farmers. Our civil society and youth forum members have now begun to collect resources to implement projects to address some pressing issues raised at these two initial meetings. 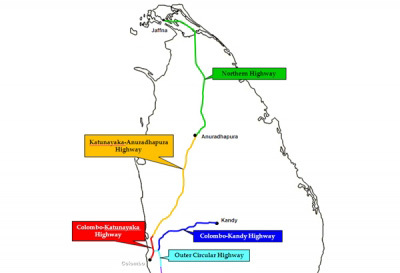 Among them would be a setting up of computer centre in Mullaitivu, vocational training centre in Elenkopurm village in Theravil GN in PTK and a cultural centre in Trincomalee. We have already located a rundown building to be refurbished in PTK and an orphanage in Kilinochchi which has potentials to house a vocational training centre. Rotary club of Colombo Mid Town and East, several private computer companies, foreign colleges and individual diaspora members have already expressed their interests to join us to set up these initiatives. Setting up the Reconciliation Unit in Vavuniya in the presence of Educational, Agricultural, Health officers, Army, Police and Religious representatives. • Developing and promoting programmes to rehabilitate and reintegrate former combatants as concerned and productive citizens of a united Sri Lanka. • Advising institutes concerned with the promotion of international relations with regard to programmes to strengthen and develop appropriate knowledge and skills. • Encouraging development of activities in the link language and in particular projects to ensure interaction between different communities. • Devising and promoting programmes to develop teaching and teacher training with the link language and initiate international volunteer support for this purpose. • Assisting in promoting initiatives to ensure protection of human rights and develop training programmes for this purpose, and disseminate information regarding progress in this regard. • Supporting the efforts of the armed forces in community development initiatives in the North and East and promoting special initiatives in this regard. • Ensuring widespread communication of government initiatives in reconciliation and human rights.